The Westin, Arisia's main hotel, will be charging a deposit of one night per room on or just after December 13th - the deadline to cancel your reservation and avoid forfeiting your deposit is Friday, December 9th. Please review your confirmation email from The Westin to confirm the credit card you used to make the reservation is still valid. All reservation holders will receive an email (sent to the email address used to make the reservation) with additional instructions should you need to change the credit card that will be billed the deposit. If you do not receive an email by Friday, December 2nd, please contact the Innkeeper Staff at innkeeper@arisia.org. If you have a reservation at an overflow hotel, you will not be charged this deposit. If you have any other questions about the new deposit policy, please see our FAQ at http://www.arisia.org/HotelDepositFAQ. Looking for a room upgrade for Arisia 2017 or want to throw a party? Suites are still available at The Westin! If you’re interested, please go to http://www.arisia.org/partyhostinstructions and fill out the form. 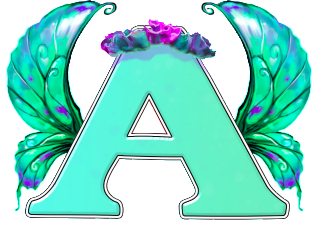 The Arisia Student Writing Contest is accepting original works of short fiction. The deadline to submit is Thursday, December 1, 2016. Entries are free. Writers retain all rights to their works - we only wish to encourage, celebrate, and recognize the talented young writers throughout the Northeast. Our theme this year is “biopunk.” Writers may feel free to draw inspiration from any sci-fi or fantasy theme they wish. Please, no fan fiction! $800 in cash prizes will be awarded to authors of exceptional stories, as well as free memberships to attend Arisia 2017. In addition, the school attended by our first-prize winner will receiving a matching prize! The Arisia Student Art Contest is accepting submissions until Friday, December 16th. This is a free contest, open to all secondary school students (ages 13 to 18). Cash prizes totaling $800 will be awarded for the best science fiction or fantasy-themed artwork, as well as free memberships to attend Arisia 2017. Artists may feel free to draw inspiration from any sci-fi or fantasy theme(s) they wish. Additionally, a $250 matching prize for the first-prize winner's school will be awarded. We wish to recognize, celebrate and encourage outstanding student art. Students who wish can also choose to put their art up for sale. We accept digital submissions sent to student-art@arisia.org with attached images. For guidelines and instructions, please visit the Arisia webpage at http://arisia.org/StudentArtContestSignup. The Krypton Radio station was created by Gene Turnbow and friends who, in 2009, wanted a geek radio station to listen to while gaming. Unable to find one, they made their own. Today it's the best loved science fiction format radio station on Earth, reaching tens of thousands of listeners and readers each month, in 123 countries around the world.